INDIANAPOLIS, Ind. — State Sen. Ron Alting (R-Lafayette) urges Indiana’s shoppers to pay careful attention to the age and content ratings provided by the Entertainment Software Rating Board (ESRB) when purchasing computer and video games as gifts this holiday season. A recent Entertainment Software Association (ESA) poll found that 43 percent of Americans plan to buy one or more games in 2009, and a majority will do so during the holidays. ESRB ratings employ a two-part system. 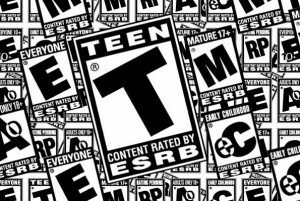 Rating symbols appear on the front of virtually every game’s packaging and provide an age recommendation, such as EC (Early Childhood 3+), E (Everyone 6+), E10+ (Everyone 10 and older), T (Teen 13+), M (Mature 17+) and AO (Adults Only 18+). On the back of the package, next to the rating, are content descriptors, which are short words and phrases that provide information about what’s in the game that may have triggered the rating, or may be of interest or concern to parents. The rating label is located on the front of the video game package. All video and computer games should feature a rating. All game rating information as well as rating summaries can be found by searching for titles on the ESRB’s Web site at www.esrb.org, as well as via a mobile Web site at m.esrb.org that enables parents to look up rating summaries right from the store aisle when they are unsure as to whether a particular game is right for their child.